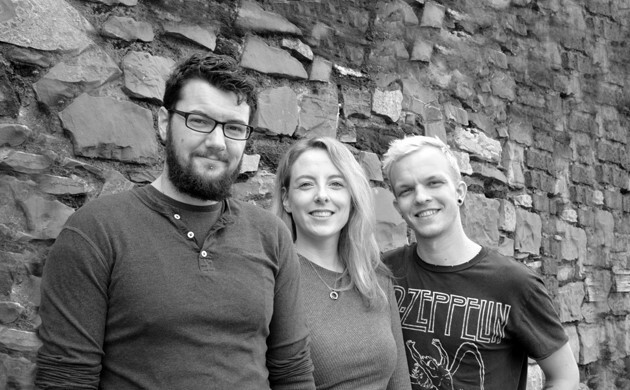 Having won some great new accounts this year, we set about recruiting the best of the best to add to our ever growing team, and we are delighted to welcome our three latest superstar designers – David, Kyle and Fiona to RichardsDee. David joins us as a Digital Producer, having spent the last 8 years crafting digital brand engagement projects at various branding and design agencies in London. He has delivered internal engagement campaigns for Reckitt Benckiser, digital advertising campaigns for KLM Air France, as well as building responsive websites, creating identities and apps, and designing wayfinding systems for clients ranging from multinationals and professional services to not for profits and start-ups. Fiona, our latest Senior Designer has a masters degree in graphic design from St. Joost, in the Netherlands where she immersed herself in the internationally renowned design culture there, which has had a huge impact on her design sensibilities. Fiona has over 6 years experience working on publishing, branding and and digital design projects, working with clients from the food, wine, fashion, cultural and hospitality industries . Some of her previous clients include Brown Thomas, Arnotts, M&S, Food&Wine Magazine, Irish Tatler & Irish Tatler Man and Dundrum Town Centre. Kyle joins the team as a Brand and Digital Designer. From South Africa, he has over 5 years experience working on a diverse range of projects for FMCG clients and international fashion brands. With a strong focus on brand identity development, digital campaigns and brand activations, he brings passion and great energy to the team.